The younger child is smart, but not quite smart enough; he misunderstands the genetic fallacy, which is commonly thought to entail that the origins of an idea can’t count as evidence for or against the idea. Such an understanding of this fallacy, however, is too simplistic. The genetic fallacy is only committed when we ignore or dismiss the evidence regarding a belief by simply pointing to its origins. For example, to dismiss the ring structure of benzene because the idea came to Friedrich Kekulé in a dream commits the genetic fallacy because his suspicion has been confirmed numerous times since he proposed it; if there were no evidence for it, the fact that the idea finds its origins in a dream would be reason to doubt it. Specifically, establishing that the origins of a belief in the existence of an entity does not actually trace back to the existence of that entity is good evidence against believing in the existence of that entity. Only if subsequent evidence can be presented can belief in that thing be rational. This is why explaining the origins of the Santa Claus story gives one good reason to believe that Santa Claus doesn’t exist. Of course, it doesn’t prove that Santa doesn’t exist. But nothing can. And, as we have seen, the fact that something can’t be proven false is no reason to think it is true. Such an origin story does, however, give one good reason to doubt. And to think that one can dismiss the origin story of Santa as evidence against the existence of Santa because it “commits the genetic fallacy” is unscientific, it fundamentally misunderstands a basic logical fallacy. Yet the theist employs the very same reasoning in defense of the objections raised against religious belief atheists such as Nietzsche, Freud and Daniel Dennett, who argue that theist belief does not originate from God, but from natural effects and forces. Against the claim that natural explanations give reason to doubt the truth of religious belief in God, religious persons will claim that such an argument commits the genetic fallacy . But, just like the young child defending belief in Santa, the theist doesn’t understand the genetic fallacy. The origins of belief in God (and why our parents might tell us untrue stories) are not reason to dismiss evidence for God per se; but the fact that belief in God (and the story our parents tell us) does not originate in God himself, but instead in natural phenomena, is good reason to doubt that God exists. Of course, it doesn’t prove that God doesn’t exist. But nothing can. But, as we have seen, the fact that something can’t be proven false is not reason to think it is true. Such an origin story does, however, give one good reason to doubt. To think that one can dismiss the origin story of God as evidence against the existence of God is wholly unscientific; it fundamentally misunderstands a basic logical fallacy. It was not the goal of this paper to suggest all of religion is unscientific in all its applications. For example, I did not mean to suggest that all religious people endorse all the arguments or believe all the doctrines that I have criticized. Obviously, many individual religious people already reject one or more of them; as a group, religious people are diverse. But this doesn’t mean that my argument is wrong, futile or inappropriate. The fact that my argument doesn’t apply to you (or even anyone you know) doesn’t mean that it doesn’t apply to others or even the vast majority of religious believers. It does. As Pew researchers discovered in 2008, the beliefs I have criticized here are held by the vast majority of religious people today. One goal of this essay was to show false a claim widely endorsed by atheists and the religious alike: that there is no conflict between science and religion. Many maintain that the important claims common among the religious are outside of the purview of science and one can believe them without being unscientific. By analogy, I have shown that this is false. Some of the most important and widely held religious beliefs (belief in miracles, the soul, God and god-men) are undeniably unscientific — as unscientific as quack medicine, belief in magic, phlogiston and lizard aliens. Such a conclusion may already be obvious to those who have rejected those religious beliefs, but the conclusion itself is not trivial. Most religious people have not rejected those religious beliefs or realized their unscientific nature. If you realize that my arguments do not apply to you because you believe none of the things I have criticized (and nothing similar to them), then the paper has accomplished another of its goals: it has clarified where the conflict between religion and science lies. It does not lie with people like you. As I mentioned in Part I, religion is not unscientific in all that it does. For example, religions make statements about ethics and meaning, and such statements are merely non-scientific. If my criticisms don’t apply to you, that’s likely because it is only those aspects of religion that you embrace. In fact, you likely reject the beliefs I have criticized as unscientific because you agree with me that they are unscientific. Unfortunately, your take on religion is not the dominant one, so the argument of this paper is necessary to make. With that in mind, and in conclusion, let me quickly respond to a few common objections. One might suggest that somehow one’s personal experience can render acceptance of a religious hypotheses scientific. It can provide a kind of evidence that renders belief rational. Such arguments would most likely come from reformed epistemologists, like Alvin Plantinga, who would claim that something like the “sensus divinitatis” can provide non-propositional evidence for religious beliefs that makes them rational . The problem with such a response is that the idea that personal experience can trump evidence and adequacy is, itself, an unscientific suggestion. What drives and motivates science is the realization that our personal experience is not always reliable, and is more often than we realize easily led astray. It is readily molded by our expectations and biases. As mentioned earlier, the criteria of scientific reasoning are designed to counteract such things, and have proven to be significantly more reliable than personal experience, when they are in conflict. To refuse to accept what clearly is the most adequate and reasonable hypothesis because of one’s personal experience is unscientific. It is akin to someone continuing to believe in ghosts because “they saw one,” despite the fact that their experience (and all others) has been accounted for completely in terms of natural phenomena. In short, not even our own eyes can be trusted in the face of contrary scientific reasoning. How much more then should we doubt the “sensus divinitatis”? Some might say that, although they think scientifically in the other areas of their life, they choose to be unscientific when it comes to religious belief and that doing so is “acceptable” — even rational. This, it might be thought, is akin to methodological naturalism, where one assumes nothing supernatural in the lab, but allows for such possibilities in church. This of course, grants me my thesis: that religious belief is unscientific. Such a person admits that they can’t be religious while they are being scientific, and so they leave their scientific thinking in the lab. Still, this reply needs response. Presumably, such a person doesn’t just assume naturalism in the lab, but everywhere else in everyday life. They wouldn’t think that money can “just disappear” from their wallet, they wouldn’t believe someone who claims to walk through walls, and they don’t believe magicians are really magic. They only suspend scientific reason when it comes to religious matters. But it seems obvious that there is no justification for such compartmentalism. It is not noble, it is not justifiable, it is not rational. It is merely the only way they have of protecting cherished beliefs, or maintaining their social or familial connections. Maybe they still want to claim that doing so is acceptable and rational, but if they do this, they lose their ability to criticize anyone who ignores scientific reasoning and the scientific method for any reason. They can no longer claim that those who believe in ghosts, UFOs, ESP, dowsing rods, astrology, creationism, intelligent design, the vaccine/autism link, parapsychology, conspiracy theories, Lizard aliens, Big Foot and the Loch Ness Monster are doing anything wrong or irrational. For, if religious people can ignore scientific reasoning to protect their beliefs of choice, so too can anyone else. In a nutshell, if the religious person ever points the “irrationality” finger at any person for believing something contrary to scientific evidence, they must acknowledge that there are three fingers pointing back at them. Lastly, some may claim that I have been attacking a strawman. “Of course,” one might object, “the common person’s religious beliefs are unscientific, but you have ignored the well thought out religious views of academic theologians and philosophers. You will have shown that religion and science are in conflict only when you have shown their religious beliefs to be unscientific. After all, you wouldn’t criticize science based on the common person’s understanding of science.” There are numerous responses to this. First of all, the analogy is weak. Yes, I would not criticize science based on the common person’s understanding, but the common person does not practice science — they are not a part of the scientific community and do not determine scientific consensus. The common religious person, on the other hand, is religious, practices religion and is a part of the religious community, and the above doctrines are what the common religious person believes. In fact, the views I am criticizing are confessed in the creeds, are explicitly stated doctrines, embraced by the Pope, and preached by every pastor I know. I may not have shown that the most academically sophisticated religious believers are unscientific, but I cannot be attacking a straw man if I am attacking the views held by the vast majority of practicing and leading members of the religious community. Second, I believe one would be hard pressed to find a theologian that rejects all the views I have shown are unscientific. A theologian that thinks petionary prayer does nothing, that souls do not exist, that God does not interact with, intervene in, or control the world in any meaningful or important way, and that believes that Jesus performed no miracles and did not rise from the dead — how is such a theologian different from a deist, or even an atheist? I know theologians that reject one or more of these doctrines, but none that reject them all. Of course, if a theologian could be found that did reject them all — perhaps they think that all religious language is non-literal or non-propositional and thus think that all such doctrines are not literally true but instead are (as Bart Ehrman termed it in Jesus, Interrupted) “mythically true” — then my argument could not be used to show that their particular brand of religious belief is unscientific. But I admitted that at the beginning of the essay. A religion that is only about ethics and meaning is merely non-scientific, not unscientific. But I dare say if a theologian admitted this — admitted to rejecting such doctrines, in plain English, as literal truths — from any pulpit in the world, they would be run out on a rail. How can I be strawmanning by not addressing a view that the vast majority of religious practitioners and leaders would openly reject and label as heresy? Individual academics who reject the doctrines I have criticized can save themselves from criticism, but they cannot save all of religion vicariously. Given my arguments, it is undeniable that the beliefs I have criticized are unscientific. And since they, or beliefs like them, are embraced by the vast majority of religious practitioners (including those outside of Christianity), it is undeniable that — contrary to the suggestions of Gould, Ratzsch, Plantinga, and a host of others — religion is, in very important and significant ways, unscientific. Again, not in every way — but it was only the goal of this essay to identify the conflict between religion and science. I believe we can now see exactly where the conflict lies. David Kyle Johnson is an Associate Professor of philosophy at King’s College in Pennsylvania. He has done extensive work using popular culture to explain and illustrate philosophical ideas and arguments. He has written articles on everything from South Park to The Hobbit, Doctor Who to The Onion, and Quentin Tarantino to Christmas. He edited a book on Heroes and on Inception. He also co-edited Introducing Philosophy Through Pop Culture: From Socrates to South Park, Hume to House with William Irwin. For a researched history of Santa this draft of a chapter from a book I am working on entited The Myths that Stole Christmas. See: Stephen Nissenbaum’s The Battle for Christmas. Vintage Books, 1997. Breaking the Spell: Religion as a Natural Phenomenon. Penguin, 2007. For a famous example of William Lane Craig accusing Richard Dawkins of this fallacy, see this YouTube video. See, for example, Alvin Platninga’s Warrented Christian Belief. Oxford University Press, Oxford, 2000, Ch 6. Uh, Philip already did: Ken Miller There is also Collins, and a host of others. I am not sure what definition of “scientific” they have in mind, if they have one explicitly in mind at all – but if they believe in the Virgin birth and yet still believe they are believing scientifically, whatever definition of “scientific” they have in mind is the wrong definition – as I have shown. Yes that point is scientific. The point of that example was to show that if we do have to say that something is unexplained, it is much more simple (parsimonious), and thus scientific, to say the singularity is unexplained –versus saying that God explains the singularity and God is unexplained. Why? Because the singularity is “something that literally exists nowhere, in no space, for no time” whereas God is something that has infinite contradictory properties, is everywhere, etc. I’m sorry if I did not make this clear. These are all simply inappropriate apples to authority and the fact that two people were born in the same place has nothing to do with anything. I have no idea what you’re talking about. You are also equivocating on the word “absolute.” You in fact are helping me make my point– this is a prime example of unscientific religious thinking. Yes, DM has it right. It’s not about criticizing other people, but the ability to consistently criticize and reject beliefs that we should not accept. Basically, if you’re willing to embrace unscientific thinking in one instance (religion) then you have no rational reason for not embracing it in other instances (UFOs). You cannot generalize about all religion from your personal experience. Look at the statistics. Most people take their religion very seriously, including the supernatural aspects of it. Thanks for the complement. I’m not sure why you didn’t find the article convincing. The NOMA thesis simply states that religion and science are about different things. If religion were only about meaning and purpose, this would be the case – but it is not the case, as I have shown. Religion says things about the world – things that are true of it and that have happened in it – to which the scientific criteria of adequacy can be brought to bear. Of course, one can do science and also be religious – but that doesn’t necessarily mean that religion and science are not in conflict. It could just mean that people are good at compartmentalizing (or even saying they believe things that they don’t to get along in society or with their spouse) — and in fact I think it means exactly that most of the time. Your points about whether or not other people are or can be unscientific, or how uncommon unscientific thinking is, seem irrelevant to my point. It seems to me that your committing a kind of “two wrongs make a right” fallacy. “Other people are unscientific, so why can’t the religious be unscientific?” But I am not even saying the religious shouldn’t be unscientific – I am clarifying when religious belief is unscientific. Although I obviously think it’s not good to be unscientific, and strive to be as scientific as I can be my own thinking, notice nowhere in the article do I expressly condemn unscientific thinking. I simply provide examples of unscientific thinking, and then show how they parallel religious thinking. I’m assuming the reader likely doesn’t want to be unscientific, but in no place do I place judgment on unscientific thinking. Someone into fideism, who thinks that religion has should have nothing to do with reason, would actually embrace my arguments wholeheartedly. They would say religion is unscientific, and it should be that way. Thanks for the compliment, but it doesn’t seem that you actually read the articles. You say that religion discusses issues beyond empirical means, but every example I gave was an instance of a religious doctrine that can be studied by empirical means. In addition, science has and can study issues of creation and multiverse theories not unscientific at all. They can be gauged according to the criteria of adequacy, which I mentioned in the first post, even if they don’t make any empirical predictions – and it’s not even clear that they don’t make empirical predictions. In short, if you embrace the inadequate and false definitions of religion and science that you have given above, of course they don’t conflict – this is what be NOMA thesis did. But all three articles are a direct refutation of this. Again, it seems that you didn’t actually read the article. A few thoughts, and then I think we’ve likely exhausted this. 1. I’m sure you understand that for those of us whose religiosity is as I describe, it’s entirely irrelevant whether or not “you would consider” us religious. 3. I never suggested that the people who believe the various ridiculous supernaturalist claims that you outline are in the minority. Indeed, I granted that they are the majority. My point was that so long as it is the case that millions—and I would argue scores of millions, if one includes Canada and Western Europe—of religious people don’t, that is a significant number of people, irrespective of their percentage of the whole. Re; the charge of “uninteresting-ness”, I stand by it. To claim that superstitious, supernaturalist beliefs are unscientific is analytic and uninteresting. 4. With respect to your bet, you’d lose it. My position is known throughout my synagogue and despite your “bet,” I was asked to chair the Search Committee tasked with hiring a new Rabbi and serve on the Synagogue’s Beit Din. Good thing you didn’t put money down. 6. Like all philosophers—and I am one-I have been teaching at large public universities for over twenty years—you vastly overestimate the value of rationality and vastly underestimate the value of the other dimensions of human personality and experience. This, more than anything else, in my view, marred these essays, beyond the things I have already said. I greatly appreciate your response and am glad that your essays have garnered such a robust response. It bodes well for Massimo’s project. Or science will prove that somebody does! Thank you for the reply. I was aware they had those beliefs. I am not aware that they have claimed those beliefs are scientifically justified. 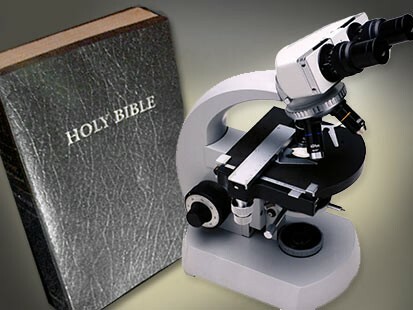 In fact, I’ve never personally known a Christian believer to claim they could scientifically justify their belief in God. They use their belief in God to justify their non-scientific beliefs such as creationism. I think you’re missing the distinction Kyle makes between non-scientific and unscientific beliefs. These scientist probably maintain these beliefs are non-scientific but Kyle argues that they are unscientific. Perhaps. Would it be accurate to say that those scientists are claiming their beliefs are non-scientific and Kyle is saying they are unscientific. I don’t understand how Kyle can make that distinction regarding those beliefs. Thanks for the comment, Kyle, (I used David before, but see you prefer Kyle.) I don’t think we have much argument here. I thought I made it clear, as well as other commentators, that you supported your thesis. At the same time, I’m sure you can imagine why some may question its robustness or relevance to their personal experience as religious adherents. I believe so, although at some point in the conversation this seems to have been mixed up with the (incorrect) claim that there are a significant number of religious scientists who claim to believe in the virgin birth on scientific grounds. I think he’s explained it well enough in these articles. The virgin birth is a factual claim about an actual historical event which is believed in preference to the simpler hypothesis that it never happened. This is unscientific by Kyle’s criteria. But nevertheless it is being presented here as a counterpoint to the unscientific arguments of religion. It is being held up as scientific and rational. Personally I think that “not a very good argument” is being kind. I had a look at some other articles by the same author. He has a “Formal Logical Proof of Atheism” in which he does not appear to understand the concept of a formal logical argument. As I said above, none of us can criticise unscientific thinking in others unless we are also prepared to watch out for unscientific tendencies in ourselves and those we agree with. There is also the further question as to why it is always better to think scientifically? I can’t imagine how someone could argue that it is. There is such a thing as a useful myth, and if Freud was correct at all—and I think on these sorts of subjects he conveyed a great deal of wisdom–at times it is necessary for our psychological health to believe the myths we tell us about ourselves. I couldn’t help but think of this line, over and over again, as I read through the three essays. I couldn’t agree more Robin, which is why I always try to find fault in the arguments of even those with ideologies similar to my own. I’ve waited with my comment, wanting to read the whole text, printed out, rather than scroll the installments line by line, posting one-liners in reply. Your text is a good summary of the arguments from the point of view of science. I did like your “mysterium ergo magus,” I sent the concise formula to my brother. He is an engineer and believes in the Bolsena miracle (and ID). Would your line of argument change his mind? Not in one iota. He uses the engineering mental frame at work, and the other in private life. Humans are very skilled at juggling mental frames, suspending disbelief as they switch from one to the other. My brother’s identity is too much wrapped up in religion to tolerate the yawning void of an eventual loss of faith (after all, one does not get emotionally involved in Pythagoras’ Theorem, or the scantily-clad Goddess Truth). We get along and even enjoy each others’ company, subtly accommodating our truths to meet the overarching aim of sociality. Our (unspoken) goal is not truth – it is closure, and moving on, sometimes together. May I suggest changing the title of your piece? By positing a conflict, you are creating a conflict. Each side then rallies, going to extremes (SUNSTEIN) and raising symbols for which they fight as they were a reality. Science wins by changing mentalities, not by logical argument. Mentalities, in turn, are changed by experience. Science has made a “good life” possible for many, and will do for yet more people. The experience of “living a good life on earth” is weakening our emotional need for a “good next life.” Unless one hears the certain trumpet of “conflict” the issue fades away. Fewer people, I may venture, are afraid of eternal damnation than in past times. There is a further reason for this. “Testable” science is a paradigm grounded in: “one cause, one effect.” It has been successfully tested in the inanimate world. The animate and social worlds, however, are mainly complex networks. We have little idea yet of how to test for effects, though we may recognize patterns, and successfully navigate the infinite complexities – often instinctively, but assuredly. We do it mostly by analogies (HOFSTADTER – SANDER) rather than by logic, a belated and addition to our biologically grounded brains. Personally I have no doubt that we’ll master this world as well, though our ambition may be “good enough” rather than “optimal.” At this point in time, I’d avoid a clash with those who argue “spirituality” (whatever that may mean) when confronted with complexity – waste of time. We are in it together. Anthropologist David GRABER quipped “The people wanted democracy, and got a republic.” I may paraphrase him and say: “We wanted morality, and got a religion.” There are many moralities, mostly adapted (and adapting) to the specific context where they evolve. All of them are “good enough” for the social group to survive. Religion is an authority-based attempt to privilege one specific morality. It favors elites. For the last one hundred thousand years we have been “self-domesticating” – subtly (mostly unconsciously) setting rules that allowed us to adapt and thrive as we increasingly mastered the material context. The emergence of “truth” in form of religion has badly hampered this continuing (Darwinian) process. Weakening the link between morality and religion seems to me to be the most urgent task ahead. A conflict with religion (or their culture-specific declinations) would hardly seem to me useful in this respect. Forgive so as to forget may be a better strategy. Since you are deconstructing Santa Claus, may I conclude with this anecdote? The Swiss town of Fribourg holds, in its cathedral, relics of Saint Nicholas. The (Muslim) city of Smyrna has asked for the return of the bones, claiming that Saint Nicholas hailed from there. The very Catholic town is up in arms about what to do. Such are the tortured strictures of logic.